A decade has passed since Satoshi Nakamoto propounded the concept of blockchain through a seminal paper titled "Bitcoin: A Peer-to-Peer Electronic Cash System". And in these ten intervening years, blockchain has comfortably freed itself from being trapped inside cryptocurrency miners' lexicon to set foot in new areas: banking, retail, automobile, logistics, healthcare, crowdfunding, or voting. Even special blockchain-powered phones and a PC will hit the market soon. Such is the excitement brewing around blockchain that venturesome companies are in a mad rush to explore the technology, though some of them are unsure about how it will eventually turn out for their businesses. A global IBM study from last year has found that one-third (33%) of enterprises across all sectors and regions are already considering or actively engaged with blockchains. More heartening is the fact that most of the respondents think blockchain is an opportunity. The answer lies in the two intrinsic abilities of a blockchain network: immutability and unparalleled transparency. When a firm employs analytics, it has to rely on data to get desired insights. But what if the very data is unreliable or corrupt? Analytics will yield no useful outcome, rather the risk of messing things up by using that outcome will stare it in the face. Blockchains can bring a huge difference here by verifying the integrity of data. Hence, it stands to reason why blockchain analytics is emerging as one of the disruptive forces that proudly shares the dais with Artificial Intelligence and Machine Learning. The biggest feature that makes blockchain analytics different from all the other current technologies is that it brings end-users, data owners, developers, and analysts together to the same environment. But that causes a new set of challenges. The data existing on-chain and off-chain need to be integrated and data federation practices have to be put in place in order to get the best out of the blockchain data. So, a practical approach would be to find a solution that takes the context of both on-chain and off-chain data and ensures security, query federation, and optimization. Quality data is a prerequisite for efficient analytics. Blockchain is basically a shared or distributed ledger of transactions, where a copy of the same information is stored at every node present in the network. This makes it possible for all the participating nodes to validate the transactions and thus data integrity is maintained. In other words, the incidence of falsification of data is ruled out by design. The IBM study mentioned above states that over three-fifths (61%) of companies think blockchain will ensure data quality and accuracy. In the world of Big Data analytics, blockchain technology brings in an additional layer of security. Due to the complex network architecture of a blockchain, hacking it is close to impossible. This makes blockchain analytics incredibly safe - and that is what businesses are looking for today. The decentralized nature of blockchain facilitates in establishing a robust data control regime. 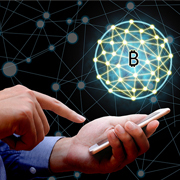 Connecting to a particular node provides visibility across the whole chain. Though theoretically, a blockchain is unhackable, yet on a rare occasion, if a node is compromised or simply goes haywire, data sitting on it can't be altered. Because in that case the compromised node or access point will be at variance with the remaining nodes. Some of the biggest players in tech today are earning megabucks by selling consumers' data. But sadly, consumers have little control over the data they generate. Blockchain holds promise for turning this lopsided model on its head. Users worried about their privacy and feeling that data guzzling tech giants are giving them a raw deal can now join data marketplaces like Wibson, or Datum. On such platforms, data owners get financial incentives when they share their anonymized private information with buyers. On the other end of the spectrum, businesses that buy data can rest assured that they are getting the data not without sellers' consent. Data acquired this way is validated for accuracy and so more valuable for blockchain analytics than traditional data. Keeping track of data in blockchain is easy as it puts consensus-driven timestamping into operation. A chronological record of transactions is always there to check. This ensures that the analytics is precise and accurate. The absence of trusted third-parties is an amazing proposition in the future of blockchain analytics. Taking services of a middleman or third-party intermediary to validate transactions is costly and may cause unnecessary delay. Blockchain's unique way of handling validation makes the process faster and cheaper. Upwards of half (51%) of respondents in the IBM study has said that blockchain is capable of reducing transaction cost by eliminating intermediaries. Many organizations that don't have a mammoth data repository like some of their counterparts face severe data crunch when embarking on analytics. More often than not, prohibitory cost of accessing data from external sources also throws a wrench in the works. Independent researchers are in the same boat too. Increase in the number of decentralized data exchanges will allow data seekers to address the unavailability issue. So, the future of blockchain analytics is linked to changes in the flow of data. Investment in cracking blockchain analytics is coming thick and fast. VCs are investing a substantial amount of money in start-ups that associate the "B" word with their names. But before you are convinced that advances in blockchain analytics will be the way forward for early adopters, you should know the obstacles reminding us of the nascency of the space. As of now, blockchains have low scalability. They can only process a limited number of transactions. This is attributed to the decentralized nature of the protocol. Every node has to process all the transactions happening within the network. So, unless serious efforts are made to increase the throughput, blockchains will fail to cope up with our ever-expanding data universe. Close to four-fifths (78%) of people believe no solution to the scalability problem will appear in sight for at least the next 3-5 years. Blockchain technology is yet to come of age. So, regulatory policies pertaining to it varies greatly from nation to nation. While a few countries have allowed trading in cryptocurrencies, others have imposed an outright ban. Such heterogeneity in regulations triggers a sense of uncertainty among the various stakeholders. Developers working in the domain don't have a decent set of tools. Noticeable paucity is felt in every department: IDE, build tools and compilers, testing frameworks, debugging tools, or security auditing and analytics. Expecting mind-bending advances in blockchain analytics amid unavailability of essential development tools is not a tenable idea. With companies getting more receptive to new opportunities for blockchain analytics, demand for professionals having the required skills is rising at a good clip. But unfortunately, acquiring the right talent is a tough job because demand is exceeding supply. Almost a quarter (23%) of respondents are of the opinion that shortage of manpower is an impediment to implementing blockchain, per a PTDL Group survey. Blockchains need oodles of computing power to function. And so, they consume huge amounts of energy which in turn has a negative impact on the environment. Although internally deployed enterprise blockchains are less energy-hungry compared to the public ones, companies must pay attention to this reality. A paper published in the peer-reviewed Journal Joule estimates that currently, the bitcoin network consumes 2.55 gigawatts of electricity which may go up to a stupendous 7.67 gigawatts by the end of 2018. If you have to describe the blockchain technology in the most cheeseparing manner, then perhaps your best bet would be to say the following words: a double-edged sword. Blockchains are tamper-proof, you can't change the records whatsoever. That also means you can't even rectify a genuine mistake. So, its biggest selling point is simultaneously the greatest chink in its armor. Operational blockchain analytics is stuck in infancy. However, continued innovations and influx of heavy investments will drive mainstreaming of blockchain technology. By then, we can expect that firms will iron out the kinks. Are you wondering if blockchain analytics is for you? If yes, then Outsource2india can help you get the best out of this data science technology. We house some of the best data science experts in the country who have been helping clients with complex analytical requirements across the globe. O2I always keeps pace with the latest developments happening in the blockchain and big data analytics domains and we offer a complete range of innovative analytical services to companies across the globe. Our clients chose us again and again because of our cost-effective solutions, vast industry knowledge, and seamless global delivery models. Contact us today and learn how you can make use of blockchain technology for smarter and more accurate analytics.